Love her or hate her, Sarah Palin is a master at personal marketing and branding! Some of you love her. Some of you hate her. Politics aside, this woman is an expert on personal marketing and branding! Just as I’ve spoken on how Barack Obama can rally a crowd better than any politician in the past 20 years, I believe that Sarah Palin is showing she is a master of controlling her own personal brand. 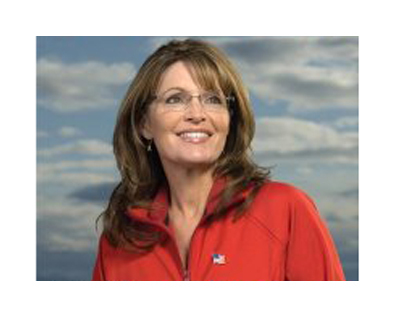 Here are three things Sarah Palin, love her or leave her, is doing really brilliantly as a personal brand. When Palin appeared on the national scene during the last presidential election, most of us didn’t know who she was. Sure, she was the governor of Alaska, but when did that make anyone a political powerhouse? But over time Palin has been climbing a mountain. When other Repulicans were slipping down their own mountains, she was climbing up her own. She’s been unafraid of taking positions, and she’s galvanized a whole segment of the population. She’s also alienated another segment, but that’s a part of her positioning. She’s no agnostic! Today she shouts from the mountaintop of Republican women (and some would argue she’s higher up than most Republican men, too!). By being at the top, she gets “top of mind” recall on most issues. Here’s the measure: what journalist doesn’t want to interview her right now? KEY QUESTION: What mountaintop can your personal brand own? Think Nike. Think Apple. Think Coca Cola. Think Palin. Each of these “brands” paints an instant picture in our minds. Nike is about the athlete in all of us. Apple is all about cool technology. Coca Cola is the real thing. And Palin, she’s the 40-something conservative mom-turned politician who comes off more like the woman next door than the Washington policitical insider we’re used to in national politics. Her message is clear, concise, and consistent, as any powerful brand message needs to be. KEY QUESTION: Do all of your customers (or potential customers) know what you’re “all about”? She flubs her lines. She writes notes on her hand. Her daughter got pregnant. For her, that’s all just a day in the life. No biggee. She’s not about polish. She’s about plain language, sweatshirts, family, and stirring up stuff. And one might argue that her recent book deals and speaker’s fees put her in a new world, but remember, she’s a Republican. They won’t look down on her for making money. KEY QUESTION: Do you live your personal brand each and every day? Love her, hate her, or don’t give a darn about her—doesn’t matter. If you want to build a personal brand, her personal marketing is worth watching!